in a shipbuilding contract which contained a limitation of liability clause. 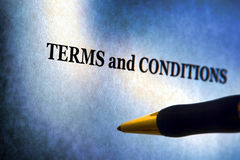 introduces a new approach in considering the meaning of the phrase by taking into account the context of the contract as a whole and the intention of the parties at the time of entering into the contract. The Claimant, Star Polaris LLC (the “Buyer”) entered into a shipbuilding contract with the Defendant, HHIC-PHIL INC (the “Builder”) for the purchase of a bulk carrier vessel named the POLARIS STAR (the “Vessel”). Following written notification of any defects covered by the guarantee, Article.XI.3 required the Builder to make the necessary repairs or replacements at its shipyard or reimburse the cost thereof. Most importantly, Article.IX.4(a) of the shipbuilding contract contained a limitation of liability clause which specifically excluded the Builder’s liability for “consequential or special losses, damages or expenses”. The Vessel was delivered to the Buyer on 14 November 2011; however, on 29 June 2012 the Vessel suffered from a serious engine failure and had to be towed to STX Gosung in South Korea for repairs. b) towage fees, agency fees, service fees, off-hire and off-hire bunkers caused by the engine failure. During the hearing, the Buyer also indicated that it wished to claim for diminution in the value of the Vessel. In summary, the tribunal ordered an Interim Final Award on 12 November 2015 on the basis that there had been a causative breach of the Builder’s express warranty of quality. However, the Tribunal found that the Buyer’s chief engineer had failed to react to various warnings to reduce the speed of the Vessel and had failed to stop the Vessel’s main engine in sufficient time. It was held that these omissions contributed to the Vessel’s damage and amounted to a break in the chain of causation and therefore not all the repair costs were recoverable by the Buyer. When assessing the remainder of the Buyer’s claim, the Tribunal considered Article.IX.4(a) of the shipbuilding contract which contained the limitation of liability clause. Article.IX.4(a) – “Except as expressly provided in this Paragraph, in no circumstances and on no grounds whatsoever shall the Builder have any responsibility or liability whatsoever or however arising in respect of or in connection with the Vessel or this contract after the delivery of the Vessel. Further, but without in any way limiting the generality of the foregoing, the Builder shall have no liability or responsibility whatsoever or howsoever arising for or in connection with any consequential or special losses, damage or expenses unless otherwise stated herein”. The Tribunal’s interpretation was that the word “consequential” was intended to be used by the parties in its “cause-and-effect sense”, as meaning “following as a result or consequence”. Accordingly, the losses set out at section (b) above were not recoverable by the Buyer. It followed that any claim for diminution in value of the Vessel would also be a claim for consequential loss and as such, would be excluded from the Builder’s liability. should be interpreted in accordance with the second limb of the classic test for recoverable loss established in the leading case of Hadley v Baxendale  EWHC 9 Exch 341. Direct loss – those which may fairly and reasonably be considered arising naturally from the breach of contract. Consequential loss – such damages as may reasonably be supposed to have been in the contemplation of both the parties at the time the contract was made. The Buyer maintained that at the time the parties entered into the contract, the phrase “consequential or special losses” had a very well-recognised meaning as a matter of law. Furthermore, as other authorities suggest, the fact that both the words “consequential” and “special losses” where paired together in Article.IX.4(a) was a strong indicator that the parties intended the meaning of consequential loss as set out in the second limb of Hardley v Baxendale to apply to the contract. Sir Jeremy Cooke, sitting as a High Court Judge decided in favour of the Builder, that Article.IX of the contract provided a comprehensive code for the determination of liability. He was therefore of the view that the limitation of liability clause should be construed in the context of Article.IX as a whole, including the guarantee in relation to defects. On an analysis of Article.IX, the judge agreed with the Tribunal that on entering into the contract, the parties did not intend the Builder’s liability to extend beyond the obligation to remedy any defect by making all necessary repairs and replacements. “In short, the parties had agreed objectively that financial loss consequent upon physical damage was excluded”. The Judge decided that the construction of the Article showed the Builders had guaranteed to repair defective items for 12 months, but excluded all other financial consequences, which were the responsibility of the Buyer. This decision highlights the importance of ensuring that caution is taken when entering into or negotiating a contract and that the contractual terms reflect the true intention of the parties, particularly when one party is attempting to limit or exclude its potential liability. This case suggests a move towards a more flexible approach when interpreting the meaning of limitation/exclusion clauses, rather than being bound by traditional interpretations. Courts may now be more inclined to consider such clauses on a case-by-case basis, taking into account the whole of the contract that the clause appears in and the intentions of the parties at the time that the contract was entered into. For this reason, contracting parties should also check for any inconsistencies between the limitation/exclusion clause and the contract as a whole. The decision indicates the conventional Hadley v Baxendale approach is secondary to the wording and construction actually used by the parties. Businesses providing goods or services, including professional services, should regularly review their Terms and Conditions and Letters of Engagement to ensure they accord with current practice, law and legislative requirements. Limitation clauses can be included in retainer letters or disclaimers to limit liability, including regarding third parties. A properly drafted clause could substantially affect overall liability. Parties should carefully identify the type of loss that may arise from their contract, and describe clearly what liability the party accepts, and excludes. The court will review the whole agreement in the event of a dispute, to decide on what the parties intended.